Guinea-Bissau hasn’t historically made forest conservation a priority, especially when Chinese buyers are offering cool cash for prized rosewood. 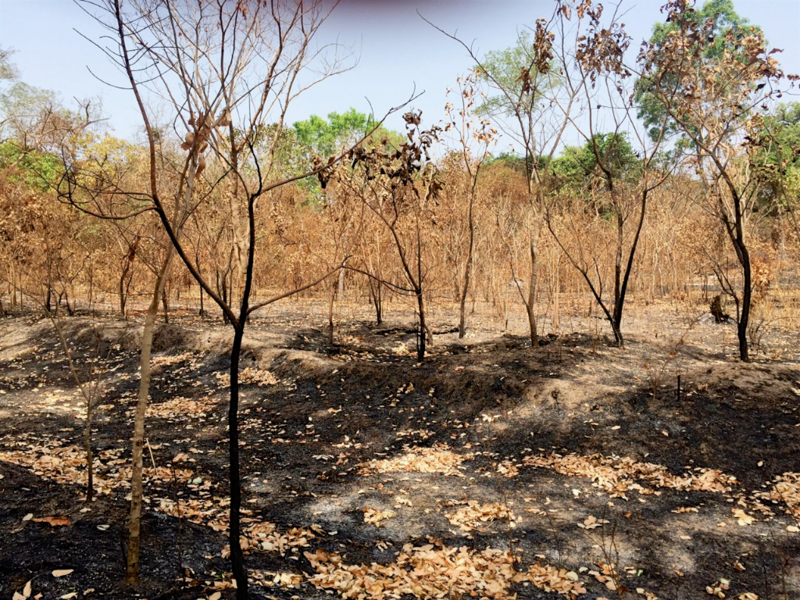 But as deforestation takes its toll on the lives of forest-dependent people, the new government is working to reverse that – as are countries like Burkina Faso, Côte d’Ivoire, Ghana, Guinea-Bissau, Guinea, Mali, Niger, Nigeria, Senegal, Sierra Leone, and Togo. This story first appeared on the Forest Trends blog. 18 April 2016 | On a recent afternoon in the sleepy village of Simboree, a light breeze swept across Guinea-Bissau’s dry African savannah, interrupting the otherwise steady heat as if in an expression of hospitality toward the unusual guests who had gathered there. Government leaders from 10 neighboring West African countries, along with a delegation from the capital of Bissau, had traveled to this remote little town in Mansaba sector as part of a regional workshop on rosewood logging and trade. Their purpose in Simboree was to hear directly from community leaders about the illegal exploitation of Pterocarpus erinaceus – known locally as pau de sangue, or African rosewood – an issue that has plagued Guinea-Bissau ever since a 2012 coup d’état plunged the country into a governance vacuum. By the end of the week, the lessons they learned in Simboree would help those guests reach what they hope will be remembered as a historic outcome: the first step towards solving West Africa’s illegal rosewood crisis. Just shortly before, the group had visited one of these critically degraded forests, where the few remaining pau de sangue trees were a sad sight to behold. Furniture and décor made from rosewood, a term for a number of hardwood tree species native to tropical forests, has become highly prized as a symbol of cultural identity and economic status in Asia, especially in China. Traditionally, most Chinese imports of rosewood came from Southeast Asia. But as consumer demand keeps rising, traders are searching further afield for more supply and by 2010 started to arrive in West Africa, where African rosewood is comparatively plentiful. From 2010 to 2014, China’s rosewood imports from Africa jumped 700 percent, making West Africa the largest source just a decade after occupying only a minor position in the market. 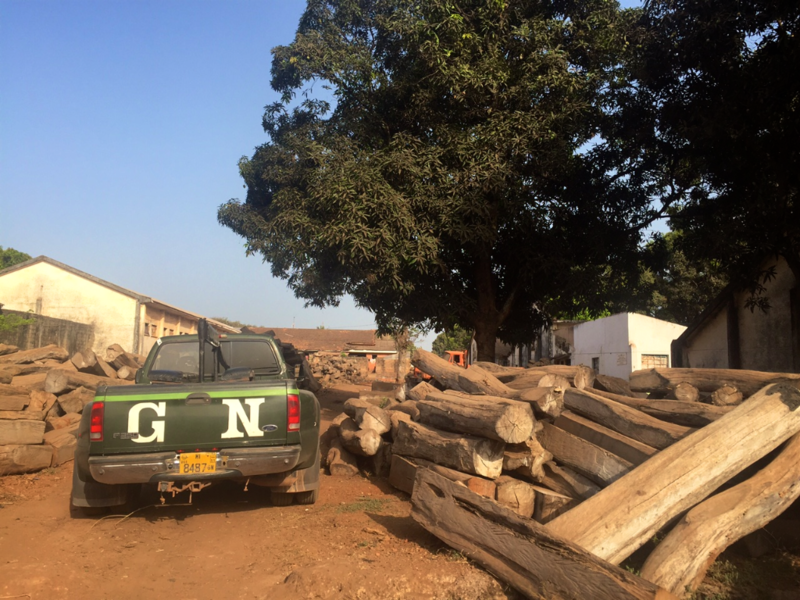 The situation in Guinea-Bissau is particularly illuminating as an example of how the rosewood crisis has spread across the region. In a country with weak rule of law, exacerbated by political instability following the coup d’état, authorities have been unable to enforce existing laws and regulations meant to ensure sustainable timber harvesting and trade in ways that protect the environment and local peoples while also bringing in much-needed revenue to the local economy. Without adequate resources to enforce these laws, harvesting went unchecked and traders were able to export nearly 94,000 m3 of rosewood to China alone between 2012 and 2014 – up to 30 shipping containers of logs per day, valued at US$65.3 billion. This pattern reflects a wider trend in the region, offering a window into the world of governance failures in many tropical forested countries. 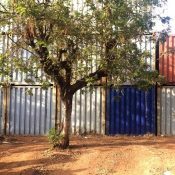 The story of Guinea-Bissau is the story of many nations spanning multiple continents: foreign timber traders respond to the high prices brought about by high consumer demand and swiftly move from country to country, capitalizing on the absence of enforcement and fostering the development of cross-border smuggling networks. 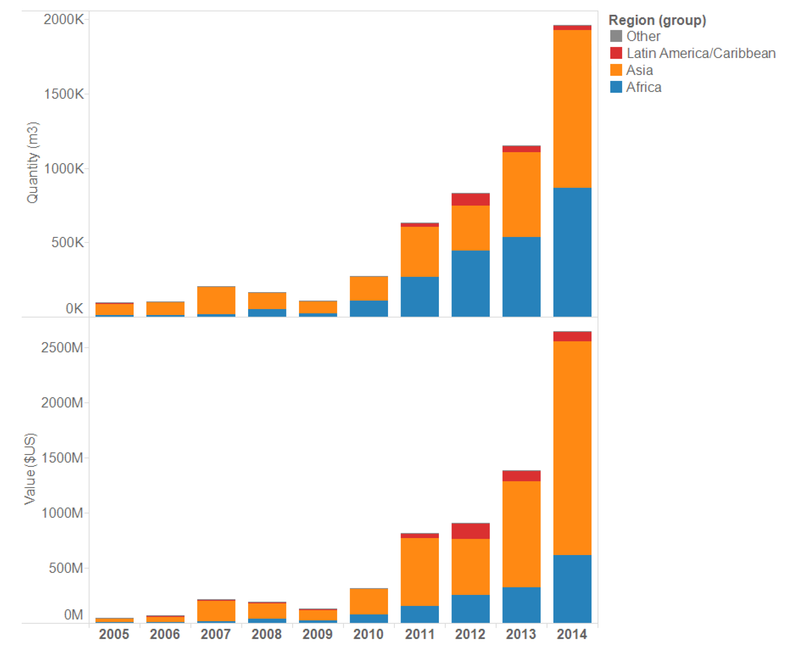 In countries fraught by civil conflict, armed groups (be they government or non-state actors) are using the revenue from the sale of natural resources such as rosewood to catalyze or exacerbate armed conflict, both at the national level and within and between communities that depend on such resources for their livelihoods. During the recent regional workshop, delegates from represented countries – Burkina Faso, Côte d’Ivoire, Ghana, Guinea-Bissau, Guinea, Mali, Niger, Nigeria, Senegal, Sierra Leone, and Togo – shared a number of common challenges that are rarely discussed outside of individual ministries. 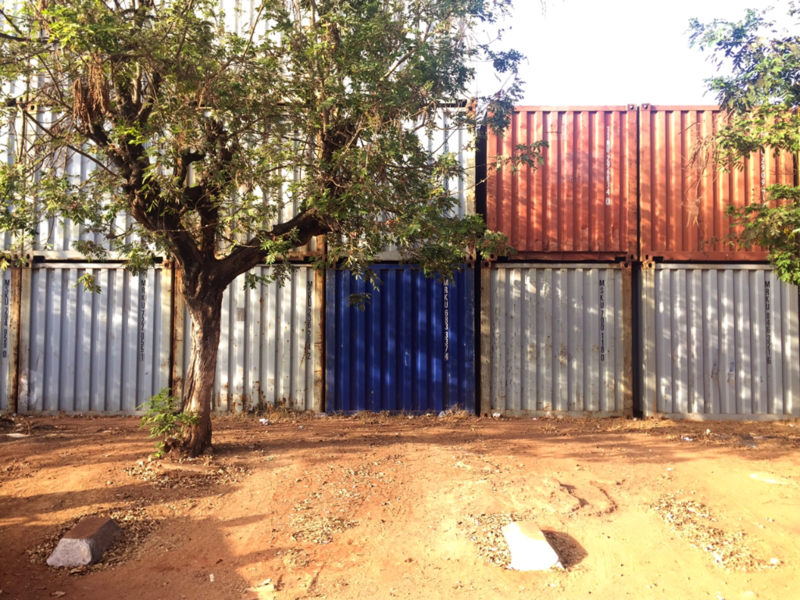 All representatives acknowledged a lack of reliable customs data that could help officials track rosewood shipments – whether overland imports from neighboring countries, or exports directly to China or via countries with larger ports. All countries have in place solid legal frameworks for conserving rosewood species, but in spite of them it remains difficult or impossible to enforce harvesting or export laws (in some cases, outright bans), allowing illegal trade to continue. Meanwhile delegates from countries that have invested in wood-processing industries expressed hesitation at abolishing the rosewood trade entirely, citing important links to local economic development. At the end of the workshop, participants in a historic moment agreed to take action to curb illegal rosewood logging and trade in the region. They produced a series of precise recommendations, including improving and enforcing national policies related to timber harvesting and trade, establishing dialogue with China, and supporting the escalation or “uplisting” of P. erinaceus to CITES Appendix II. Delegates committed to using regional diplomatic channels to encourage legal and sustainable trade that emphasizes due diligence on legal sourcing. They also called for the development of sound business practices that benefit African and Chinese small and medium enterprises, importers, and consumers, while also preserving forest resources and benefitting local communities. Naomi Basik Treanor is the Manager for the Forest Law and Governance workprogram of Forest Trends’ Forest Trade and Finance initiative. She has extensive experience in China and Southeast Asia.